Spinal stenosis neck pain may be one of the many possible expressions of cervical spinal stenosis. Neck pain is a very debilitating condition and is also frightening, due to the sensitive proximity of the symptoms. Although not as common as lower back pain, aches and pains in the neck are still the second most prevalent location for dorsopathy to exist. In order to better your chances of finding lasting and true relief from spinal stenosis in the neck, it is crucial to full understand the stenotic condition as it applies to your particular central canal or foraminal circumstances. This essay will help patients to become more involved in their own neck pain treatment by bettering their knowledge of cervical spinal and foraminal stenosis. Spinal stenosis in the cervical spine is very common, particularly in the elderly. The normal degenerative processes which act on the cervical region, such as disc desiccation and osteoarthritis, will cause or contribute to a stenotic effect in the middle to lower neck in most adults past middle age. In the majority of these cases, the stenosis will be mild or moderate and should not be the source of any significant pain or neurological symptoms. In cases where typical minor stenosis is theorized to be the primary cause of pain, the patient stands little hope for positive treatment results, since most of these poor souls are misdiagnosed. For severe and extreme cases of cervical stenosis, the diagnosis of the canal narrowing as the source of pain is almost always correct, although this does not do not to increase the likelihood for effectual treatment. 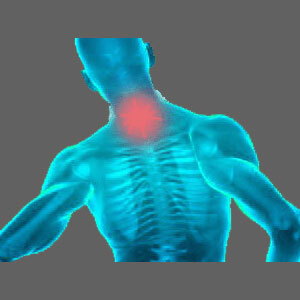 Learn about the causes, diagnosis and treatments of neck pain on the comprehensive resource, Neck-Pain-Treatment.Org. Patients may have weakness in large or specific areas of the anatomy. This symptom is often experienced in conjunction with subjective or objective numbness in the affected area. Patients may experience intermittent tingling, also known as pins and needles, in large or small areas of the anatomy. Patients may have headaches, usually of the tension variety, often starting in the neck muscles and working up the head unilaterally. Patient may demonstrate neurological concerns, such as incontinence or foot drop. It is crucial to remember that stenosis in the neck can enact pain and other related symptoms almost anywhere below the affected level. In fact, a great number of people with serious spinal stenosis in the cervical spine do not have neck pain, but instead express many symptoms in the lower body. 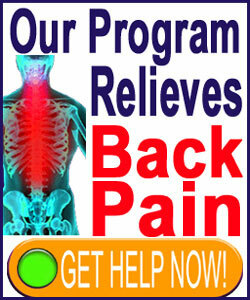 Typical of these circumstances are the symptoms of sciatica and recurrent falling due to leg weakness issues. In many, many of the patients, lumbar structural issues take the blame, but are not the actual source. Meanwhile the serious cervical stenosis is not diagnosed, leading to terrible treatment results. We always advise patients with any serious lower back pain and accompanying neurological expressions to undergo MRI testing of the affected area, and the cervical spine, as well. This is a good way to prevent yourself from becoming yet another victim of the rampant misdiagnosis so common in the back, neck and sciatica pain treatment sector.